This is going to sound crazy coming from me, because I am so die-hard Alliance. Really – I’ve tried playing Horde. I’ve even documented the results. 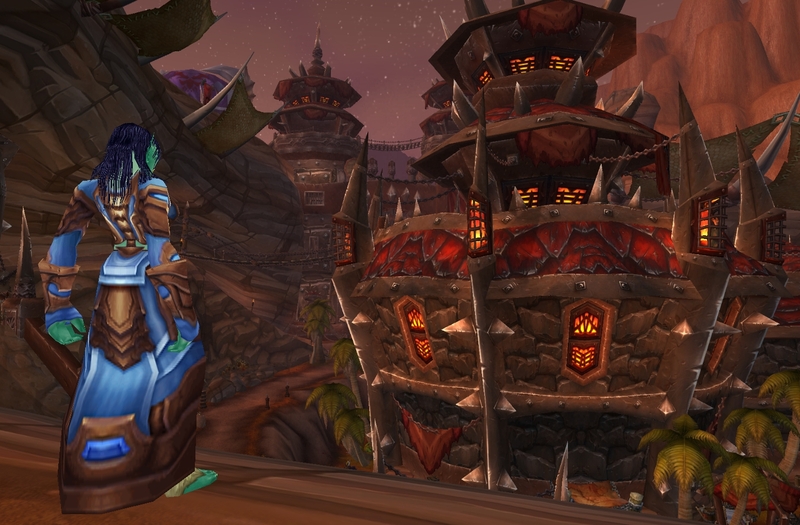 I faction-changed my shaman and it lasted a few months at best – I faction changed her back. 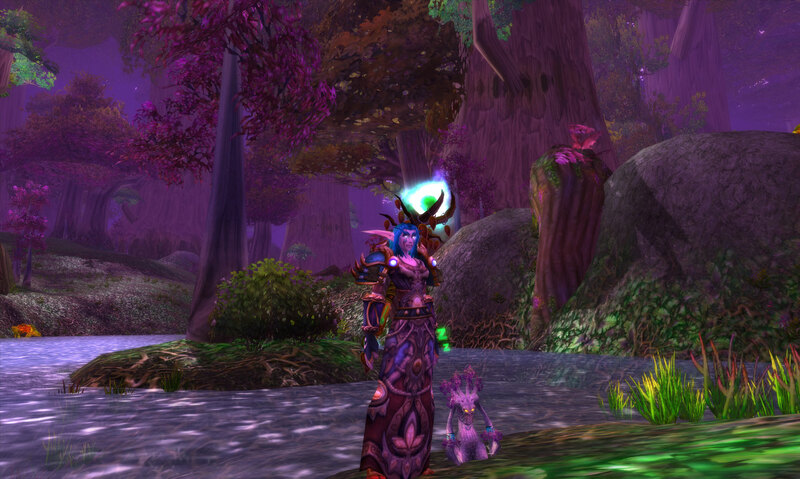 I managed to level a Horde mage from 1-80, but at the first opportunity I moved her to another server and made her a draenei. Yes, I have two level 85 draenei mages now, do you want to make something of it? Also, Blizzard makes a fortune because of people like me. I can’t ever add up the amount of money I’ve spent on server-transfers/faction/race changes or it would cause my head to explode. Part of my problem might be that my server doesn’t have a healthy population balance so there are fewer Horde players to see. But there are dragons perched on every surface in Stormwind, the banks are constantly jam-packed with people, and it’s starting to make me feel a bit stir crazy. At least running into an orc or seeing a Tauren around was a change of pace. Now there may be a crowd of people, but there’s also a sense of sameness. So there, I said it: I miss your fur and horns, green skin and rotting knee-bones. I know it’s the world of Warcraft and so we’re kind of at war but we’ve done some things together, right? We’ve killed some common foes, and all. I know you’re out there, but I don’t see you any more! Maybe I need to hit the BGs (although it’s not quite the same as sharing a bank). What do you guys think? Do you miss me too? Sometimes when you hang around friends a lot, you can start to pick up on each other’s habits. Speech patterns, habits, you know. The more I thought about it, the more I realized I haven’t been true to myself. As a result – please click through to see my blog redesign and a new name, too! This is the real me, you guys. I’m just Horde at heart, and I was meant to write about orcs. I’m still going to write about mages, though! Because of course, some things never change. I’m afraid if you want to read about draenei from now on, you are going to have to go and check out my good friend’s blog. It’s awesome! It’d be even better if it were about an orc, though.